Joseph Smith was a young boy of 14 when he walked into a grove of trees, intending to pray and ask God which of all the many churches in upstate New York he should join. He was trying to “come to any certain conclusion who was right and who was wrong” concerning religion, and “came to the determination to ‘ask of God’” as is directed in James 1:5 (JS—H 1:8, 12). When Joseph knelt to pray, he “saw a pillar of light exactly over my head, above the brightness of the sun . . . I saw two Personages, whose brightness and glory defy all description” (JS—H1:16-17). 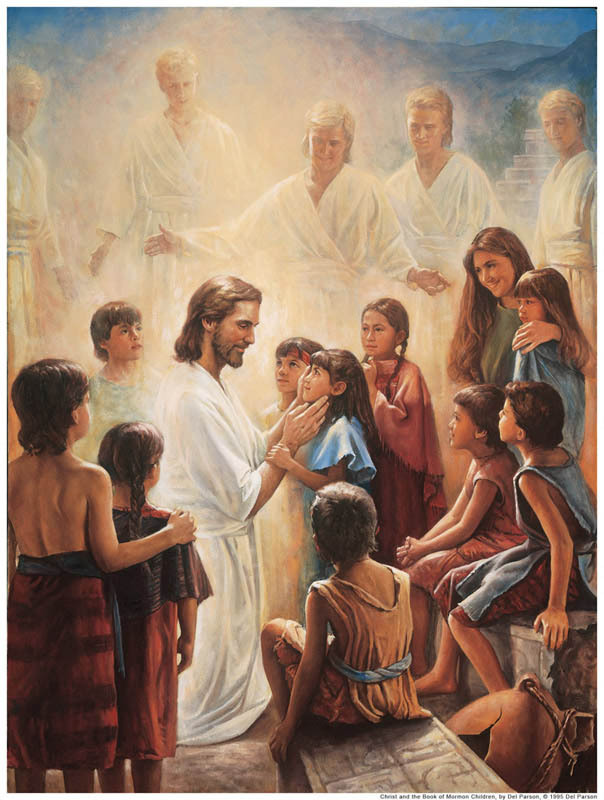 Joseph Smith saw and talked with Heavenly Father and Jesus Christ, and asked which church he should join. They directed him to “join none of them, for they were all wrong” (JS—H 1:19). Joseph did as They directed, and joined none of the churches. 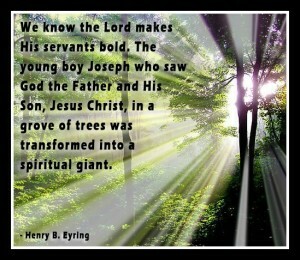 So began Joseph Smith’s mission of restoring the true gospel of Jesus Christ to the earth again. Many of these truths had slowly been corrupted, changed, or taken from the earth when Jesus and His original 12 apostles were all dead. Other churches on earth had pieces of the truth, but not the whole truth, and in some cases, the truth had been greatly distorted over the centuries. Thus, these truths needed to be restored to earth again in their fullness. Joseph Smith was the instrument through which the true gospel was restored. Members of The Church of Jesus Christ of Latter-day Saints, sometimes inadvertently referred to as the Mormon Church, do not worship Joseph Smith. Instead, we revere and respect him for his role in bringing about the restoration of the gospel. Like many of the Lord’s servants in ancient times, Joseph Smith experienced many hardships and trials. He was unjustly arrested and accused of crimes countless times, taken away from his family, thrown into prison, and tormented by mobs nearly all his life. Yet still he directed the Saints, “Shall we not go on in so great a cause? . . . 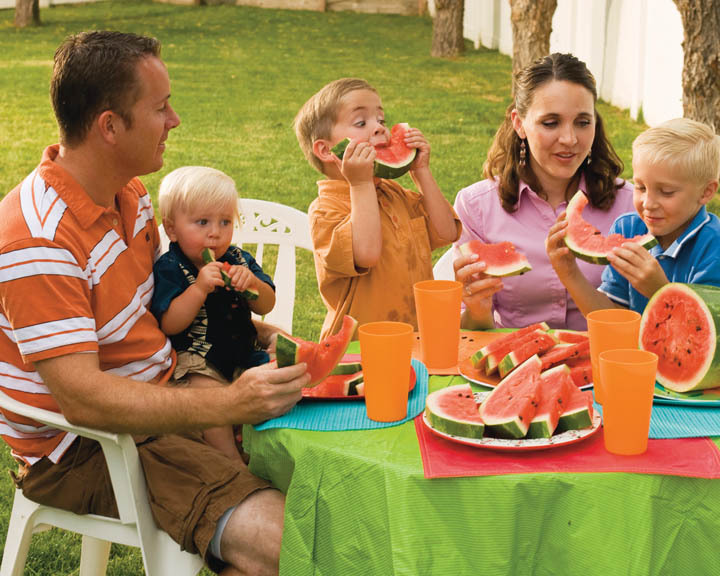 Courage, brethren; and on, on to the victory!” (D&C 128:22). He continued to follow Heavenly Father’s plan for him, leading the Saints and receiving further revelation from the Lord concerning His church. After Joseph Smith’s martyrdom in June 1844 at the age of 37, John Taylor, an apostle and leader of the Church of Jesus Christ, penned the following words: “Joseph Smith, the Prophet and Seer of the Lord, has done more, save Jesus only, for the salvation of men in this world, than any other man that ever lived in it” (D&C 135:3). Elder Taylor said this because it’s true. The truths and doctrines restored through Joseph Smith teach all of us what we need to do to receive salvation. The way to return to heaven is made clear because of the restored truths of the gospel. 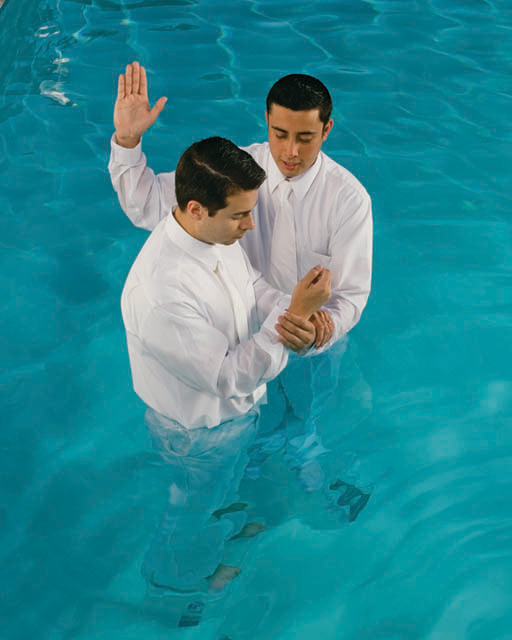 Mormons do not worship Joseph Smith; they are Christians, and worship God. 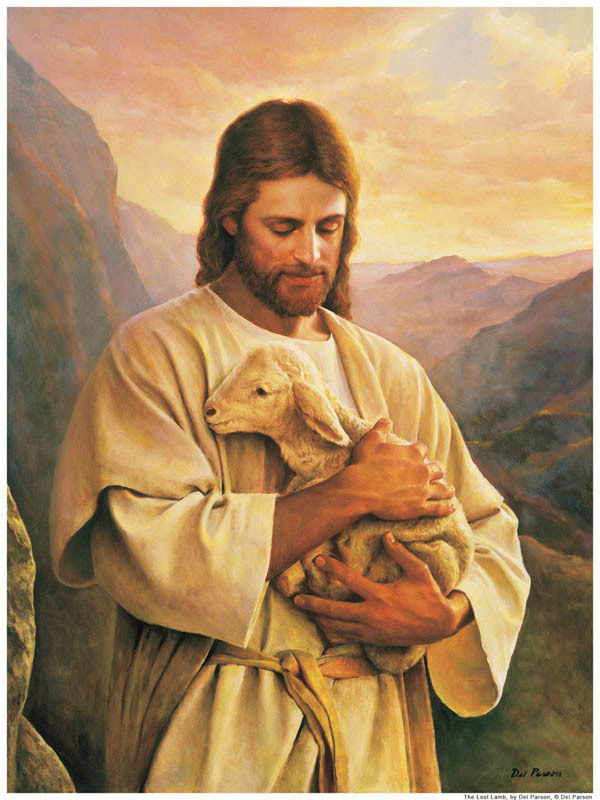 Joseph Smith holds a special place in Mormon history because he is the one through whom Jesus Christ restored His church again. They see him as a prophet of the Lord, similar to prophets in ancient times, who were not worshipped but revered and respected by their followers.